In an era of multidisciplinary care, it is important to incorporate healthcare experts to help encourage patients with cancer to lead a healthy lifestyle, says Stephen J. Freedland, MD. For patients with prostate cancer, diet and exercise are important, as weight loss can prepare the body for therapy as well as prevent conditions such as heart disease from interfering with treatment. Additionally, weight loss can lead to higher self-esteem, which can help a patient mentally prepare for the adverse events (AEs) of prostate cancer treatment, Freedland adds. 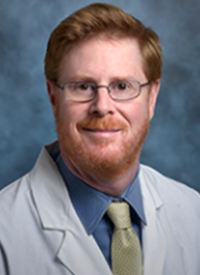 In an interview during the 2018 OncLive® State of the Science Summit™ on Genitourinary Cancers, Freedland, Warschaw Robertson Law Families Chair in Prostate Cancer, director of the Center for Integrated Research in Cancer and Lifestyle, and co-director of the Cancer Genetics and Prevention Program at Cedars-Sinai Medical Center, gave his insight on how to counsel patients with prostate cancer on the benefits of leading a healthier life. Freedland: In regard to diet and lifestyle in cancer, there are not a lot of data to support our beliefs. I went through some of the myths and common perceptions that people have and reviewed the data that support or refute what people actually think about diet and prostate cancer. There is this concept that we need to get rid of fat in the diet. That is certainly one approach, but one of the problems with that is that when you cut fat, you end up eating more sugar, and you might actually do more harm that way. We should be thinking of diet more holistically than just cutting out one thing or another. Another example is that people are fixated on omega-3 fatty acids and fish oil, but when you actually look at it, there are certain fish like tilapia that have no fish oil at all. In actuality, pork bacon and donuts have more fish oil than tilapia, so that is a myth that we can debunk quickly. Is diet dependent on stage of disease? What would you say to a patient who is stage IV as opposed to a patient who is stage II? It is a good question—do we tailor the diet to where the patient is in their cancer? The challenge is that we don't know, but we try to come up with a diet that they can live with and that they can follow their whole life. Whether they are at risk, in early-stage disease, or even late-stage disease, this should be a diet that is sustainable and can stay with them through the whole treatment. A lot of it is giving up simple sugars and trying to get them to lose weight and exercise. Smoking is correlated to dying from prostate cancer so we are trying to get men to stop smoking. Overall, it is just leading a healthy life with little tips thrown in. How would you handle a situation where a patient does not want to adhere to a change in diet? We try to work with the patient. I would say "What is it that you can give up, and what can't you give up?" To me, it is very similar to when we tell a man that his cancer is progressing, and he does not want to undergo treatment because he does not want to deal with the AEs. He knows that he will die from the disease, but he is not willing to have treatment. In my younger years, that stuff used to really upset me. What I have learned over the years is that patients are allowed to make bad choices. It is not my job to make sure they make the perfect choice every time—it is my job to make sure they are educated, understand their risks, understand the benefits, and have all of the information available to them. Given that, if they still make a choice to eat a certain way, forego a certain treatment, or choose a less aggressive treatment, that is their choice. How long is the adjustment period for patients beginning a new diet? In my experience of trying different diets myself and with patients, usually within a couple weeks we can get to a point where patients start to see the benefits in terms of weight loss and feeling better. The first couple weeks of starting anything new can be a challenge.